To assist customers and prospective customers who are interested in short-term rentals of our Rotomite and FLUMP dredges, we offer a schedule of dredges in our Rental Fleet, from which we can offer immediate delivery, unless the dredge has been committed to another customer. Dredge Installation and Training Services. Crisafulli provides installation and training services for rental customers across America, in Canada, and Worldwide. SRS Crisafulli’s Rental Fleet currently contains: four 4” Severe Duty FLUMPs, one Rotomite SD-110s, one Rotomite 6000, and one Rotomite-6000 CD. The Fleet changes frequently as dredges are sold out of the Fleet and new dredges are built for the Fleet. American and Canadian Customers may apply 100% of the first month's rental fee (less freight or service) toward purchase of the rental equipment provided the customer issues a purchase order during the initial thirty (30) days of the rental period. Customer must notify Crisafulli by day ten (10) of the rental if customer elects to purchase. If a customer issues a purchase order between thirty-one (31) and ninety (90) days of the start of the initial rental period, customer may apply 50% of their total rental fee (less freight or service) incurred during the first thirty (30) days of the rental term toward the purchase of the rental equipment. Terms for Dredge Rentals. Minimum 1-month rental (1 month equals 30 days or 240 hours of service). Incremental terms beyond first month are: monthly; and in unique cases weekly. Dredges both soft and moderately abrasive material. Dredges up to 80 cubic yards of solids per hour at depths up to 12 feet. Operates in a cabled environment. Either manually remote or Radio Remotely controlled. Operator not on board. 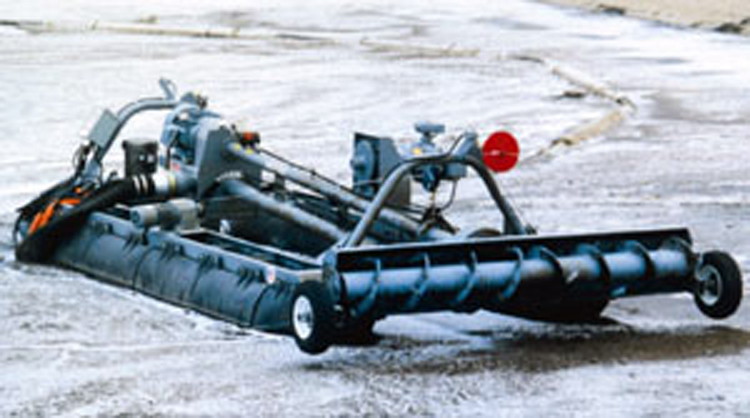 Dredges both soft and moderately abrasive material. Dredges up to 85 cubic yards of solids per hour at depths up to 12 feet. Self propelled, steerable, operator on board. Dredges both soft and highly abrasive material, including sand. Dredges more than 200 cubic yards of solids per hour at depths up to 20 feet. Self propelled, steerable, operator on board. Dredges both soft and moderately abrasive material. Dredges up to 150 cubic yards of solids per hour at depths up to 20 feet. Self propelled, steerable, operator on board.